100% of inbound marketers with unreasonable expectations will end up disappointed. That statistic isn't from a double-blind, peer-reviewed study or, well, real. But there's a lot of truth behind the sentiment. If you believe inbound marketing is going to be an instantanious silver bullet to all of your sales woes, you may not get what you're expecting out of a new inbound marketing initiative. Inbound marketing certainly does yield remarkable results, but it can often take 6-8 months to see results compounding on a monthly basis that can be considered remarkable. But how do you get there? Through months 8-18, organizations often see incredible gains in traffic, marketing-qualified leads, and sales month-over-month. We blogged about that here. Inbound marketing requires a ton of quality content, content promotion, and persistence. In this blog, you'll learn why building a five-year growth plan is often the wisest approach to inbound marketing. You'll also gain a sneak peek behind-the-scenes at what a Lean Lab client's 5-year growth plan could look like. We've realized that disappointment often begins when clients think that inbound marketing is like pay-per-click search advertising (PPC). After all, they're both digital marketing methods. If you really boil them down, they have similar roots -- placing content on search engines, where people are looking for answers. Right? PPC is like a faucet. If you're using Google Adwords to capture targeted search, the website visitors and leads start pouring in as soon as you turn the campaign on. Once you've hit your monthly budget and turn "off" the PPC, the results go away. If the majority of your leads are coming through paid search, the moment you stop spending you lose a majority of your leads. We have actually seen instances of companies losing money on their ad spend, but unable to pull the trigger and turn it off because it's their sole source of new traffic and leads. Inbound is a long-term strategy. Unlike PPC, it's not about investing money for an immediate return. Inbound marketing is the process of slowly building authority with search engines. It's about growing an engaged following on social media channels. It's about developing a reputation as a thought leader. All of this is done slowly, and with the help of tons of high-quality content. It's a little like the difference between renting and owning a home. If you rent for 30 years, you'll need to either continue paying rent or get a mortgage to retain housing. If you faithfully pay a mortgage for 30 years, you'll own your property. In many cases, your home will be worth far more than you paid for it. Inbound is about creating a structure that brings residual results. By creating smart goals for the long-term and breaking them down into smaller, digestible chunks, you can achieve greatness. 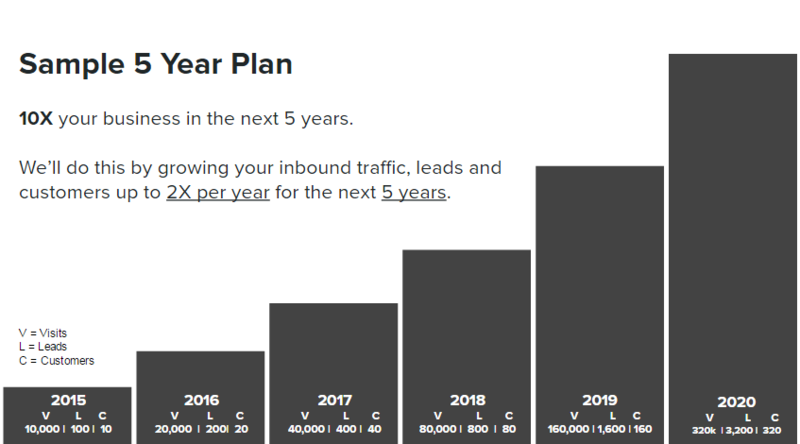 What does this whole idea of inbound marketing as a five-year strategic plan look like, anyway? If you were a new Lean Labs client, how would you know what to expect in five years? And how could you patiently wait that long, anyway? It's pretty simple, really. You can double your traffic, leads, and new customers in a year. While you are working to double that the next year, all the work you invested in the previous continues to work for you. Unlike PPC, where more money is always required, the inbound marketing assets keep performing years after you invested in it. Once you've got this future blueprint, you can track your progress quarter-by-quarter based on where you want to be in five years. Once you've been doing inbound marketing for a few months, the mountain of multiplying your business by ten doesn't seem so overwhelming. In fact, it's probably going to feel very real and possible! When you've got this kind of concrete evidence that your inbound efforts are paying off and you're well on track to meeting five-year targets, it's pretty hard not to feel excited about your progress. 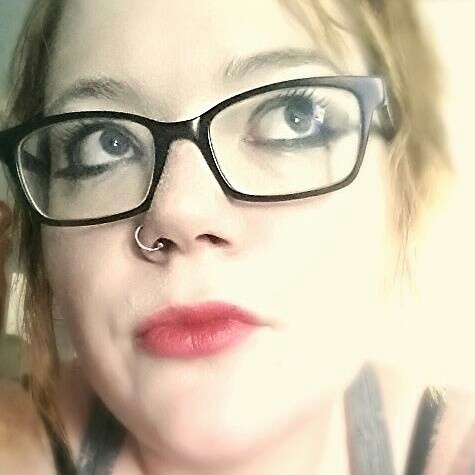 We get it, creating marketing goals isn't the most exciting thing in the entire world. But when you hit the inbound doldrums, it can be hard to feel excited about the progress you've made. At times, the amount of work it's going to take to reach a five-year target of 200,000 website visits, 2,000 leads and 200 new customers each year can feel positively overwhelming. Start shallow and slowly build. Set a target of multiplying your business by 10 in 5 years. Track your progress towards each of these mini-goals. 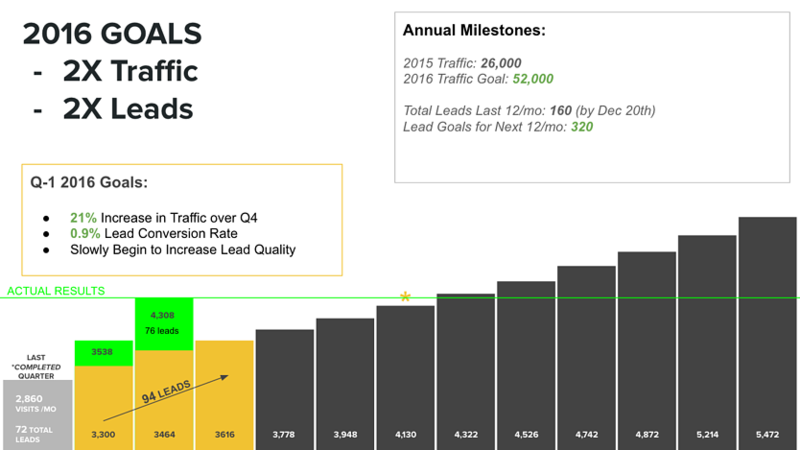 Does your inbound program have five-year growth goals? What is your approach to planning for success?